The sea is vital to life on our planet. It produces over half of the oxygen we breathe, absorbs half of carbon put into our atmosphere and regulates our weather. It provides us with food and transport routes for our goods. Foresight is examining issues related to the sea as part of our latest project. Foresight’s role is to translate the latest science and evidence into findings for policy makers. There are amazing scientific and technological advances affecting the waters around us. The Future of the Sea project will analyse emerging trends and technological developments with guidance from world-leading experts. We will work with government departments to consider how this evidence is relevant for policy making, ultimately to ensure policies are more resilient to the future. Science and technology are likely to play an important part in the future of the sea and its governance. The next generation of transport technologies will provide unmanned vehicles over and under the sea. 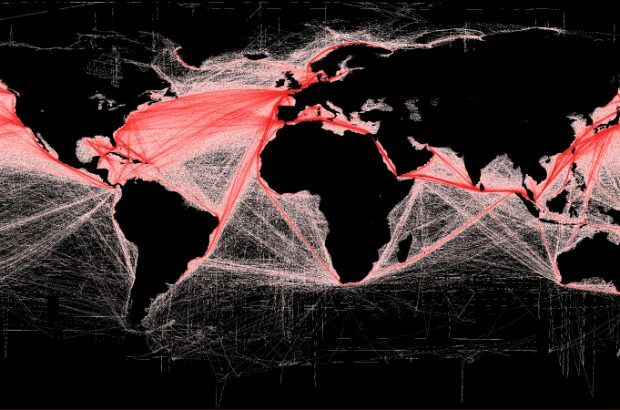 These technologies may fundamentally change the shipping industry and enable mapping of uncharted areas of the sea. Technological advances could even allow for the formation or extension of new islands in the sea. The future may see potential for altering the boundaries between the land and sea. The sea matters a great deal across the world, but especially to island nations like ours. The maritime sector, which includes industries like shipping and insurance, is currently estimated to contribute over £22 billion per year to the UK economy. It supports around 490,000 jobs. A whole range of challenges and opportunities are likely to open up to the UK because of emerging technologies and environmental changes. The Foresight team will work to identify these over the coming months. We will do this through a range of analytical techniques like scenario building and mapping to visualise the future of the sea. Stay tuned to this blog to read about some of our emerging results and thinking, and do tell us what you think in the comments section below. To keep up to date with Foresight Projects new work, sign up for email updates.